Dulles Greenway and Old Ox Road (Route 606) Between 1:30 and 2:20 p.m. Continuing today, Tuesday, Sept. 20, and into October, Dulles Corridor Metrorail Project crews will begin intermittent blasting to remove hard rock from the median of the Dulles Greenway at the site of the Silver Line's future Loudoun Gateway Station near the Old Ox Road overpass (mile marker 11.0). One blast per day will take place between 1:30 p.m. and 2:20 p.m. on Tuesdays and Thursdays in September and October. Stoppages of up to 10-20 minutes will occur. 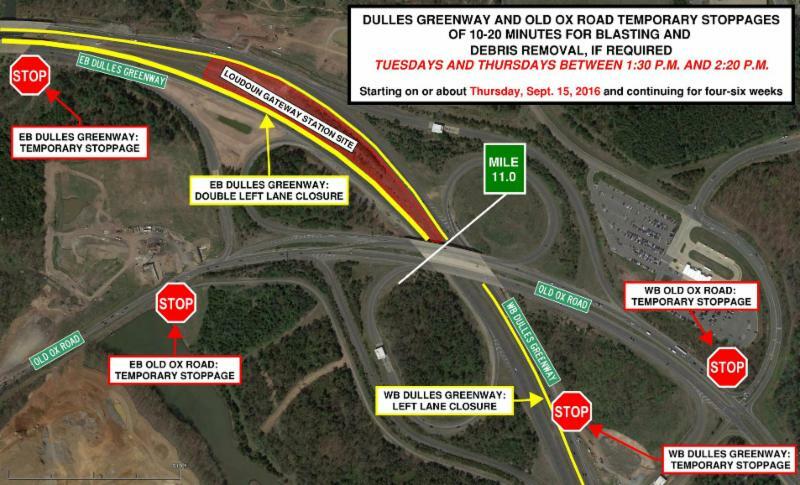 Lane closures on the eastbound and westbound Dulles Greenway will be in place prior to the work zone. Approximately five minutes before the blast, traffic on the eastbound and westbound Dulles Greenway and eastbound and westbound Old Ox Road will be stopped for safety. Warning signals will sound several times prior to the blast. After the blast is complete and any debris has been cleared from the roadways, traffic will resume. Police will be present for safety. Drivers should exercise caution, pay attention to signage, and obey all police and flagger instructions. This work is weather dependent and subject to change. 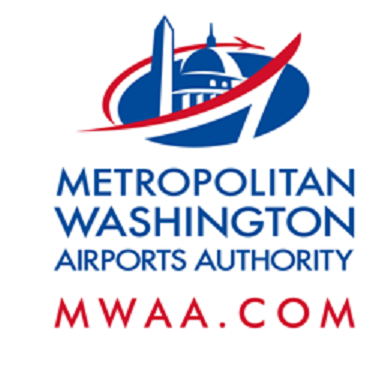 A 24/7 emergency hotline is available for Dulles Corridor Metrorail Project construction-related issues: 844-385-7245. PLEASE! To receive project alerts by email, sign up here.